You can use UberMenu with Ultimatum by replacing the Ultimatum Menu widget with the UberMenu Navigation widget in the Header layout. However, please be aware that using Ultimatum disables the Customizer capability of WordPress. 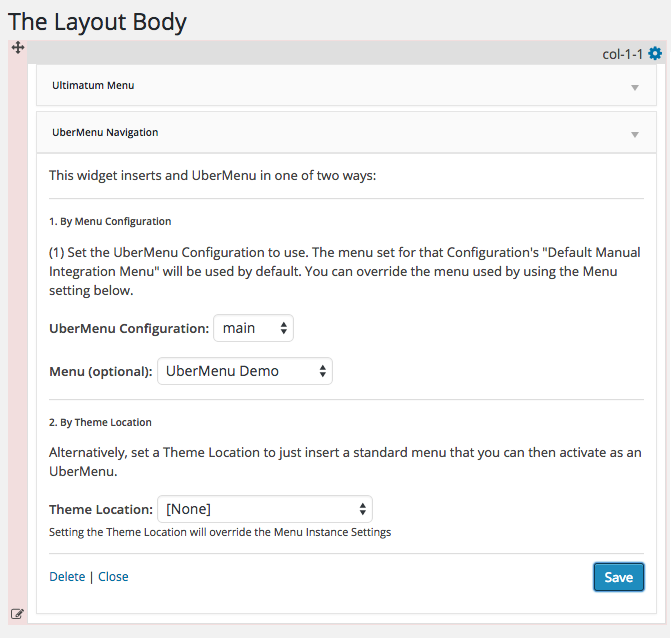 Therefore, you can’t use UberMenu’s Customizer features to customize the menu with a live preview. This is due to the way Ultimatum works – it will block usage of the Customizer by plugins. However, you can still use the customization settings in the standard UberMenu Control Panel; you just won’t get a live preview via the Customizer.